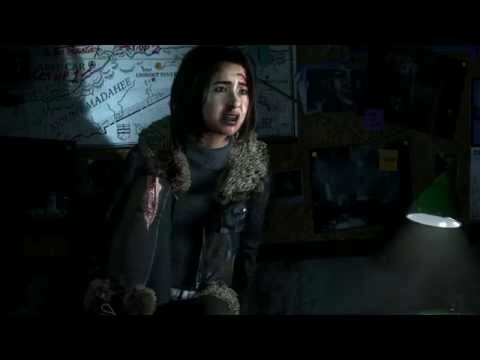 Sony Computer Entertainment and Supermassive Games have announced that Until Dawn has gone to the PlayStation 4. Your goal is to help eight friends survive a night of hell. A serial killer is on the loose, and you’re trapped up a mountain, in a heavy snowstorm. The man with the terrible social skills and sharp pointy toys resembles Leatherface from the Texas Chainsaw Massacre series of films and looks to be of the shuffle footed Michael Meyers Halloween variety. Needless to say he carries a variety of nasty stabby things too. This means that like all co-eds of the 80s slasher movie genre, hiding and coordination with your friends will have to be the weapons of choice as an axe to the face often offends. From the look of the video, this is going to be a third person Alan Wake-esque affair and we will be looking forward to it with baited breath! Once we come out from behind the sofa that is.